Transport: Take bus no. 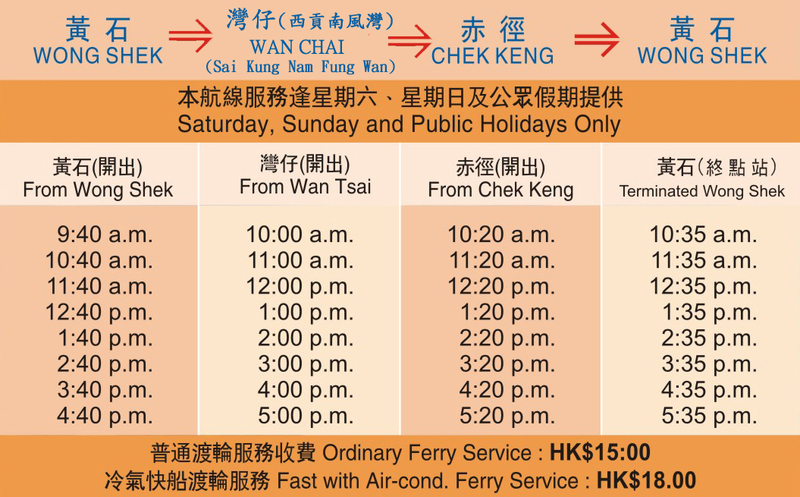 94 or 96R (only on Sundays and Public Holidays), get off at the terminal – Wong Shek Pier, take ferry to Wan Tsai (Nam Fung Wan Pier) / Return by taking the same ferry and bus. Feeling: Easy short hike with beautiful scenery, highly recommend this trail!